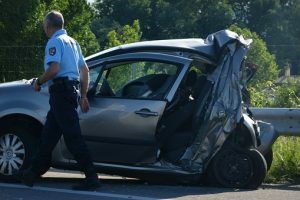 Worcester, MA (July 3, 2018) – Grafton Street in Worcester was the site of yet another injury accident on Monday afternoon. This time, police were called to the 500 block of Grafton at 3:00 pm in reference to an accident with injuries. At least one person suffered injuries in this crash. The injured person was treated by medical workers on scene. There is no immediate word on their condition at this time. The injuries sustained are not believed to be life-threatening in nature. Traffic on Grafton was delayed for some time as police investigated the crash. Officers are working to determine what caused the accident. They are analyzing evidence from the scene, including witness statements and photographs. An official cause of the crash has not been released at this time, pending the results of the police investigation. No other details about this accident were made available by police.